PT Astra International Tbk – Toyota Sales Operation (TSO) or later known as AUTO2000 is a reputable automotive company in Indonesia with core business competencies in car retailer. AUTO2000 operates primarily as a main dealer of Toyota Automobile in Indonesia. AUTO2000 is one of corporate operation of PT Astra International Tbk (Astra Group), a leading business group in Indonesia with strong business focus on automotive Industry. AUTO2000 is an operational division of Astra Group serving as one of the dealers in charge of cars, spare parts and after sales service for Toyota. Originally registered as Astra Motor Sales in 1975. 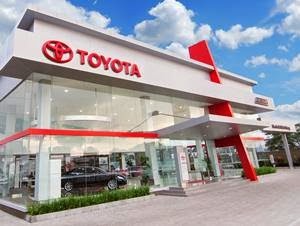 PT Astra International Tbk – Toyota Sales Operation officially established in 1989. AUTO2000 is renowned as the largest Toyota Dealer in Indonesia with maintains 40% market share of Toyota Automobile in Indonesia. According to information found in AUTO2000’s website as cited by JobsCDC.com, AUTO2000 now supported by 123 authorized outlets spread in all over Indonesia.